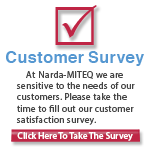 L3 Narda-MITEQ manufactures and designs a line of coaxial Directional Couplers. 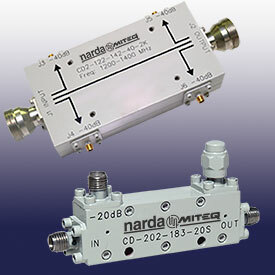 These Directional Couplers boast both superior performance and reliability. They feature low insertion losses, ultra-broadband performance, off-the-shelf delivery and compact designs. Our Directional Couplers are suitable for 40 Gb systems and typical applications include: OC768 transmitters and receivers, general purpose test and measurement systems. Some options are available such as custom frequency bandwidths and different connector outputs. They are often used at the input or the output of an amplifier to prevent loading of the bias voltages.